In the development of ischemia, temporary decrease in blood circulation is observed, as a result of which the tissues begin to receive less oxygen and nutrients. Prolonged leakage of ischemia can lead to death of cells, as well as other functional disorders of organs and systems that have succumbed to a blood flow disorder. For this reason, it is extremely important to undergo treatment for the recovery of blood circulation in time. Ischemia is a local limitation of blood supply to tissues, which causes a lack of oxygen, which is necessary for cell metabolism. Usually occurs on the background of damage to the blood vessels, which leads to impairment of the function of the tissue or the entire organ. Ischemia is often associated with local anemia in the damaged part of the body, sometimes due to the complete or partial overlapping of the vessel due to vasoconstriction, thrombosis or embolism. During ischemia, not only oxygen deficiency can be observed, but also a decrease in the amount of incoming nutrients and insufficient removal of metabolic waste. Ischaemia may be partial, then it is expressed in poor perfusion, or general. Video ischemia. What is that And how is magnesium linked to ischemic heart disease? The term "ischemia" is similar to lat. words ischaemia, grec. ἰσχαιμία, from ἴσχω - I delay, stop and αἷμα - blood. Ischemia results in tissue damage due to a process known as ischemic cascade. 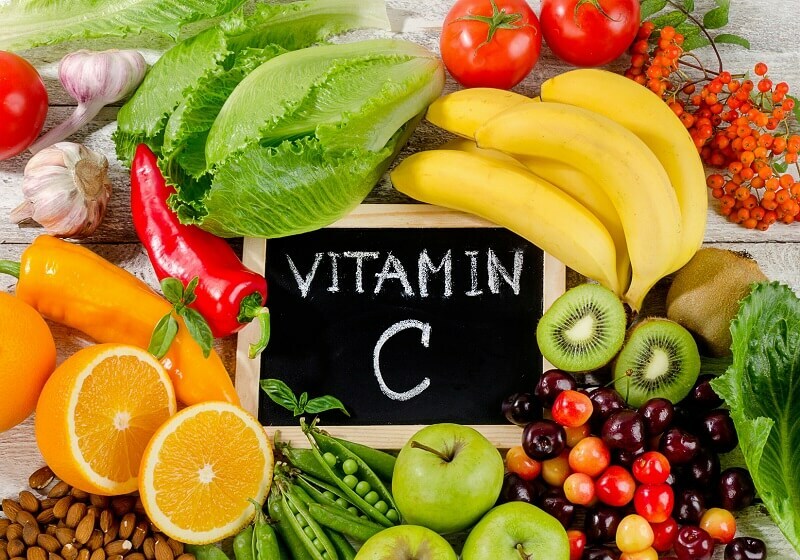 Damage caused is the result of accumulation of metabolic waste in tissues, inability to maintain the integrity of cell membranes, damage to mitochondria and the possible spread of autolytic proteolytic enzymes by cells and surrounding tissues. Restoring blood supply to ischemic tissues can cause an additional disorder known as reperfusion injury, which may be more destructive than baseline ischemia. The recovery of blood flow leads to the reciprocal flow of oxygen into the tissue, which contributes to an increase in the production of free radicals and reactive oxygen species that damage the cells. The amount of calcium ions in the damaged tissue increases, causing further overload with ions. This can lead to potentially fatal cardiac arrhythmias, and further cellular self-destruction is accelerated. The recovery of blood flow also contributes to the progression of inflammatory response in damaged tissues, which is manifested in the destruction of leukocytes of damaged cells that could still be viable. Under ischemia, hypoxia is often understood, although at the last pathological state only oxygen starvation is observed, whereas in ischemia, not only tissue starvation is observed, but also a metabolic disorder. Ischemia is a reversible process, therefore, when timely restoring the local blood flow, it is possible to avoid a terrible complication of ischemia - ischemic necrosis (infarction) of tissue. Ischemia is a vascular disease consisting of interrupting arterial blood supply to the tissue, organ or limb which, in the absence of treatment, can lead to cell death. This may be due to embolism, thrombosis of the atherosclerotic artery or trauma. Venous disorders, such as obstructive venous outflow and insufficient blood flow, can cause acute arterial ischemia. Aneurysm is one of the most common causes of acute arterial ischemia. Other causes of ischemia include heart disease, including myocardial infarction, mitral valve disease, chronic atrial fibrillation, cardiomyopathy and the presence of a prosthetic duct. With all these pathologies, thromboembolism may develop [1 - Lewis. SL (2008). Medical-Surgical Nursing (7th ed.). Vascular disorder. pp. 907-908]. Thrombi can break off and then move around the circulatory system, which often leads to pulmonary embolism, acute occlusion of the arteries. This in turn violates the process of oxygenation and blood supply. The severity of the symptoms depends on the size and location of thrombosis, the appearance of fragmentation of the clot with embolism in smaller vessels and the degree of peripheral arterial disease. Pathology is the presence in the blood circulation of foreign bodies (fatty inclusions, bacterial or other components that are not normally detected in the bloodstream). In some cases, embolism develops in the amniotic fluid. Traumatic limb injury can lead to partial or complete occlusion of the vessel due to its compression or rupture. Acute occlusion of the arteries may develop as a result of arterial carotid artery / aortic dissection or as a result of iatrogenic damage to the arterial vessels (for example, after angiography). 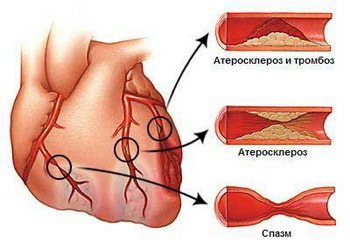 Break of large blood vessels supplying tissue or organ. Premature discontinuation of oral anticoagulant. As oxygen is transferred to the tissue through blood, the disruption of the blood supply results in the lack of oxygen and nutrients in the cells. In highly metabolically active tissues of the heart and brain, irreversible tissue damage can occur only 3-4 minutes after the onset of ischemia. Kidneys are also rapidly damaged when blood flow is disturbed (renal ischemia). Fabrics with a slower metabolic exchange can carry the ischemic cascade for 20 minutes. Without immediate intervention, ischemia can rapidly progress to tissue necrosis and gangrene, most often within a few hours. Paralysis is a very recent symptom of acute arterial ischemia and signals the death of the nerves providing the limb. Because nerves are extremely sensitive to hypoxia, paralysis of extremities or ischemic neuropathy may persist after revascularization and often become permanent. More commonly known as myocardial infarction. 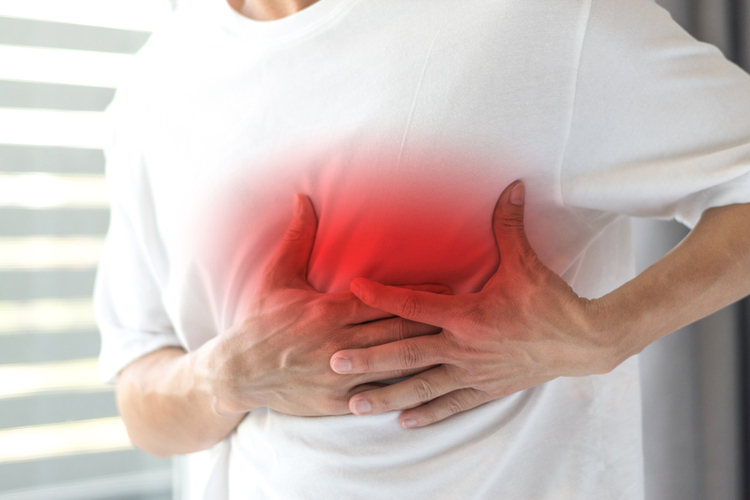 Cardiac ischemia can be asymptomatic or manifested by chest pain, which often takes the form of angina pectoris. This occurs when the blood supply to the heart muscle is disturbed. 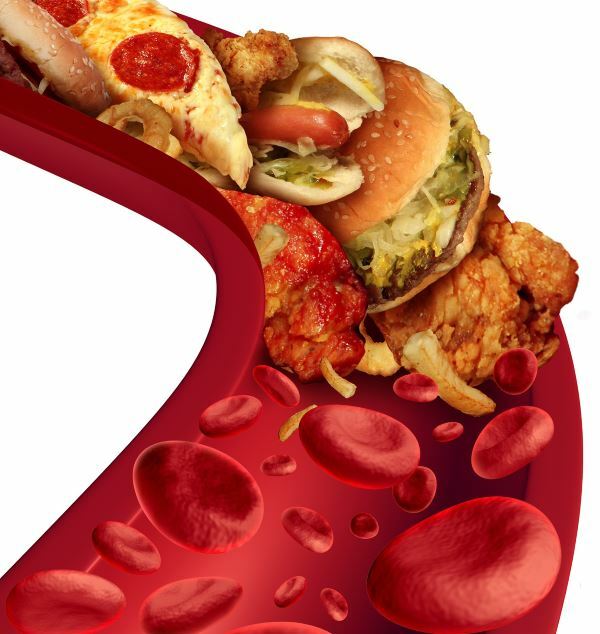 Pathology often occurs on the background of atherosclerosis, which is characterized by the formation of a large number of cholesterol plaques in the coronary arteries. Ischemic heart disease is the most common cause of death in most western countries and one of the main causes of hospitalization. An ischemic disorder can affect both the fat and the small intestine. Colon ischaemia can lead to an inflammatory process known as ischemic colitis. Ischemia of the small intestine is called mesenteric ischemia. It is often complicated by such a disease as a stroke. Brain ischemia is formed due to insufficient circulation of the brain tissues and can occur acutely or chronically. Acute ischemic stroke is a neurological emergency that can be reversible when providing emergency care. Chronic cerebral ischemia can lead to a specific form of dementia, which is called vascular dementia. The brief episode of ischemia affecting the brain is called transient ischemic attack (TIA), which is more commonly known as mini stroke. It can be presented in a milder form - cyanosis or unfavorable gangrene in its course. Reduced blood flow to skin layers can result in spotting or uneven discoloration of the skin. Also often defined is the bluish hue of the affected areas of the skin. 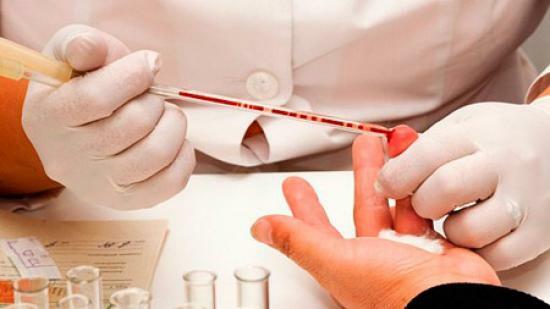 Anticoagulation therapy is used to prevent the further spread of the thrombus. Most often, unfractionated heparin is used for this. If the patient's condition is stabilized with anticoagulants, the newly formed embolus can be eliminated by catheter-directed thrombolysis using intra-arterial infusion of a thrombolytic drug (eg, a recombinant tissue plasminogen activator, streptokinase or urokinase). To infuse the drug, the transdermal catheter, inserted into the femoral artery and removed at the site of the clot, is most often used. Unlike anticoagulants, thrombolytic agents work directly near thrombosis, which allows them to remove the clot within 24-48 hours. Strain arteriotomy may be required to remove the thrombus. Surgical revascularization can be used in trauma (for example, at breakage of the artery). Amputation is used in cases where the rescue of the limb is not possible to implement. If the patient, in spite of the therapy, continues to have a risk of further embolization (for example, in the presence of chronic atrial fibrillation), treatment is carried out according to long-term oral anticoagulation, which prevents further acute arterial episodes of ischemia. Reducing body temperature reduces the aerobic rate of metabolism of affected cells, reducing the immediate effects of hypoxia. Also, the low body temperature slows the progression of inflammatory response and reperfusion injury.Therefore, due to frostbite injuries, thawing and warming up of tissues is limited until higher temperatures are stable and can not reduce the degree of damage from reperfusion. Keep blood pressure and cholesterol under control. Take aspirin and a blood-thinning preparation, especially if your doctor advised you to do this.